AUGUSTA, Maine — Gov. Paul LePage used his weekly radio address Saturday to further his long-running criticisms of the federal Affordable Care Act and explain why he is delaying its implementation in Maine. Democrats, in their radio address last week, called the Supreme Court’s ruling in favor of the law “an incredible victory for Maine people,” and on Sunday, Rep. Emily Cain and Sen. Justin Alfond blasted LePage for what they called “intentionally offensive” comments. LePage said the measure “raises taxes, cuts Medicare for the elderly, gets between patients and their doctors, costs trillions of taxpayer dollars and kills jobs.” LePage also took a shot at the individual mandate part of the law, which requires everyone to purchase health insurance or face penalties, by calling the Internal Revenue Service “the new Gestapo.” The Gestapo was Adolf Hitler’s notoriously brutal police unit during the Nazi rule of Germany. 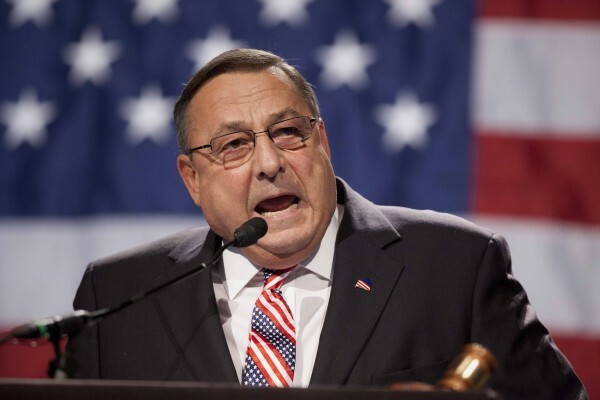 LePage’s comments attracted the attention of national media over the weekend. Alfond, D-Portland, assistant Democratic leader in the Senate, agreed. Derrek L. Shulman, New England regional director of the national Anti-Defamation League, also called for LePage to retract his statement. LePage said his administration would resist implementing the Affordable Care Act, particularly an expansion of Medicaid, because of debt Maine already has on the books — including $500 million due to the state’s hospitals — and what he characterized as a welfare program that is already too generous. LePage continued that the law, which was upheld last week by a U.S. Supreme Court decision, contains uncertainties, such as how new eligibility requirements will work and how federal matches to state investments and a national health care exchange will be funded. In a Democratic radio address last week, Rep. Linda Sanborn, D-Gorham, who is a retired family physician, characterized the Affordable Care Act much differently. Sanborn said the ruling is particularly important in Maine, where most people have seen increases in their health care premiums for years running, and where thousands of people lost health coverage last year as a result of cuts in the state budget. LePage said the new law encourages citizens to rely on the federal government rather than their own independence.